If you have a scar that doesn’t seem to be fading, or even appears to be growing in size, it is important to determine whether that scar is a keloid or not. There are two types of raised scars: keloid and hypertrophic. While both hypertrophic scars and keloid scars themselves are benign, the uncontrolled growth of a keloid scar can be a sign of skin cancer. 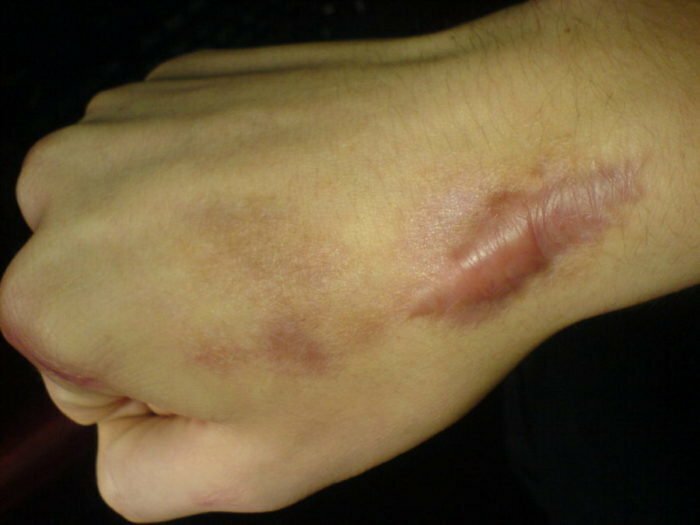 Dermatologists do not fully understand the cause of these scars, but they do know that a keloid scar can spring from acne, burns, piercings, and can arise after a surgery. They often grow on the chest, back, shoulders, and earlobes. While keloids are equally common among men and women, they are more common among those with darker skin, and less common among children and the elderly. The difference between the two types of raised scarring, hypertrophic and keloid, lies in the fact that a keloid will continue growing past the confines of the original wound. If you notice your scar is not regressing over time, contact your doctor for an official diagnosis. While you’re there, ask about how Sensus Healthcare’s Superficial Radiotherapy (SRT) with the SRT-100™ can benefit you. SRT Therapy is the latest, most effective method of treatment for keloid scars following surgical excision and non-melanoma skin cancers. It has a 90%+ cure rate. It prevents recurring surgeries, injections, and other treatments. Keloid removal normally involves several surgeries because the keloids usually grow back at each new incision site in up to 90 percent plus of cases, however, when surgical removal is followed by SRT, recurrence drops to as low as 10 percent. The SRT-100™ delivers a precise, calibrated dose of SRT Therapy that only goes skin deep, safely destroying the cells that form keloids and keeping the skin smooth while the incision heals. Talk to your doctor to find out how Sensus Healthcare’s revolutionary SRT-100™ can change your life. To learn more about the SRT-100™, contact us today!